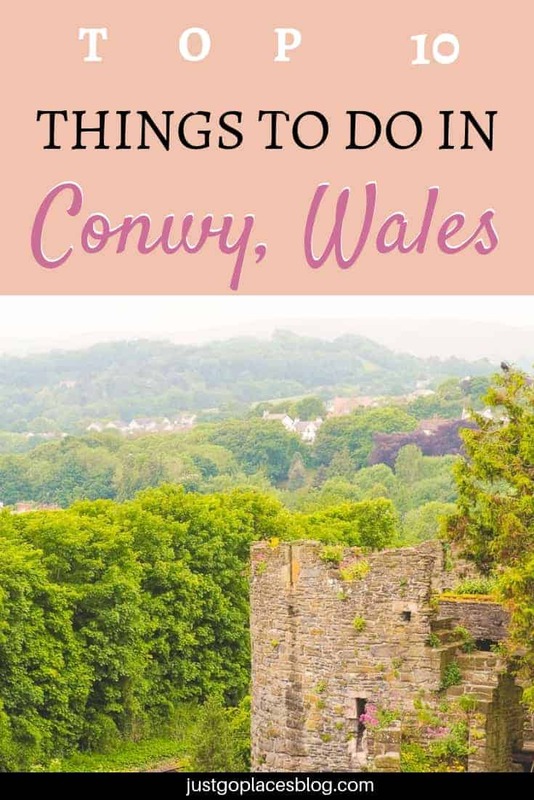 For a small town, you can easily visit Conwy for a weekend because there is so much to do in the area. For starters, the must-do Conwy attractions are the medieval Conwy Castle in Wales, a UNESCO World Heritage Site, and the Conwy Town Walls. 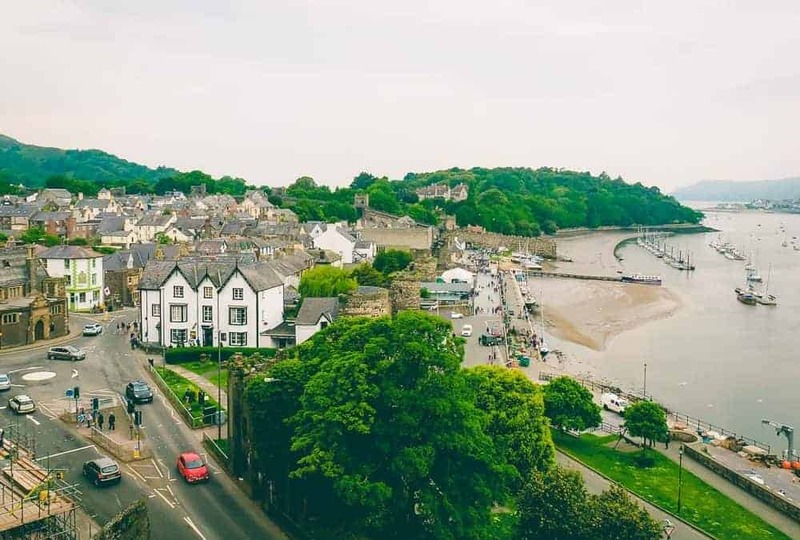 Among the other things to do in Conwy itself include both well-preserved medieval and Elizabethan merchant houses and the smallest house Conwy which has the distinction of being the smallest house in Britain!! The Bodnant Gardens National Trust property is a short drive outside the city walls. In North Wales, Conwy is in a strategic position (for both invading armies and tourists). Nearby there are the attractions of Snowdonia National Park and the Italianate resort town of Portmeirion. 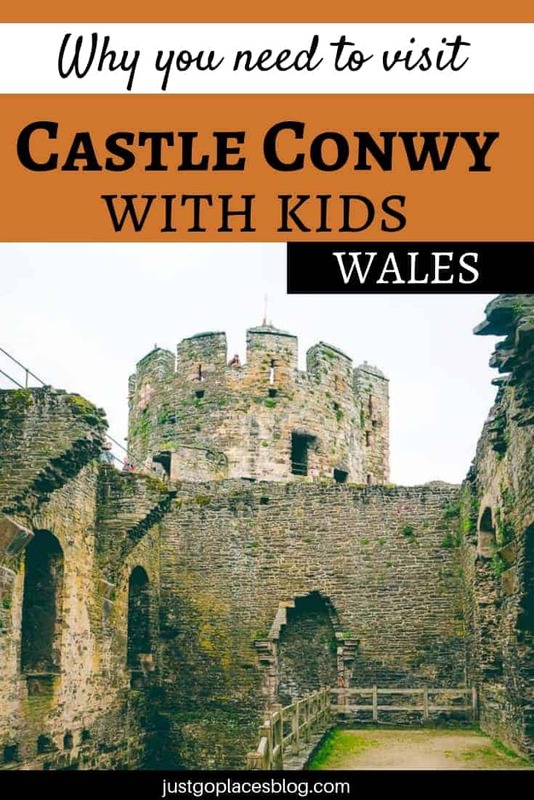 You will have plenty of options for things to do in Conwy for great family holidays in North Wales. 3.3 Join our growing community of readers! Conwy Castle in Wales is the best sort of castle as far as many kids are concerned. It’s a huge crumbling wreck that they can explore. There’s no old-fashioned furniture and paintings to walk quietly through and so kids can let their imagination run wild. Castle Conwy is HUGE even if it is in ruins. It’s difficult to imagine how such a massive structure was created in just a few years. Edward had good reason to worry – he did get trapped in Castle Conwy during a Welsh rebellion. Of course, to Edward just meant he should add another North Wales castle (Beaumaris Castle) to keep those troublesome Welsh down. 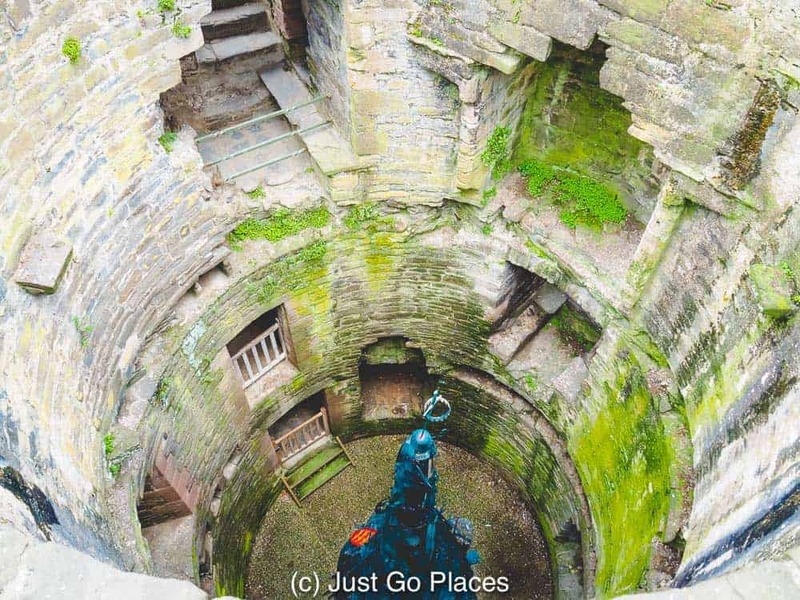 Peering down into the dungeon at Castle Conway in Wales. Over the intervening years, Conwy Castle was alternatively ignored and then back in favour. 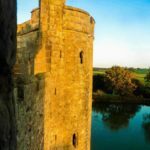 The Castle played a part in the War of the Roses as the place where Richard II surrendered so that Henry IV cold come to the throne. The numerous Conwy Castle towers are a fun climb for kids but I was done after one. Conwy Castle was held by Royalists forces during the Civil Ward which was unfortunate when they lost the war. The forces of Oliver Cromwell made sure that the castle couldn’t be used for rebellion again by tearing down fortifications. The final ignominy came in 1665 when the last of its wealth was stripped leaving it in a ruined state. As a big hulking ruin in a picturesque setting, Castle Conwy was beloved of artists. It had a history as a sightseeing destination long before it’s historical importance was recognised as a UNESCO World Heritage Site in 1986. In the late 13th century Conwy Castle North Wales and the Conwy walls together cost about £15,000 (about £45 million) to build. To put that amount in perspective, £15,000 in the 13th century is about 25X the annual income of a wealthy aristocrat of the time. Castle Conwy was built over 4 years and during the peak construction period,, there were about 1500 craftsmen and labourers working on it. Dominating the landscape, the Castle is a rectangular shape with 8 towers and 2 barbicans. From Conwy Castle you can see three sets of bridges crossing the river – the modern 1958 road bridge, the 1826 Telford suspension bridge and the 1848 railway bridge. These bridges are all an integral part of the history of Conwy. We clambered up and down and all around the Castle Conwy North Wales. 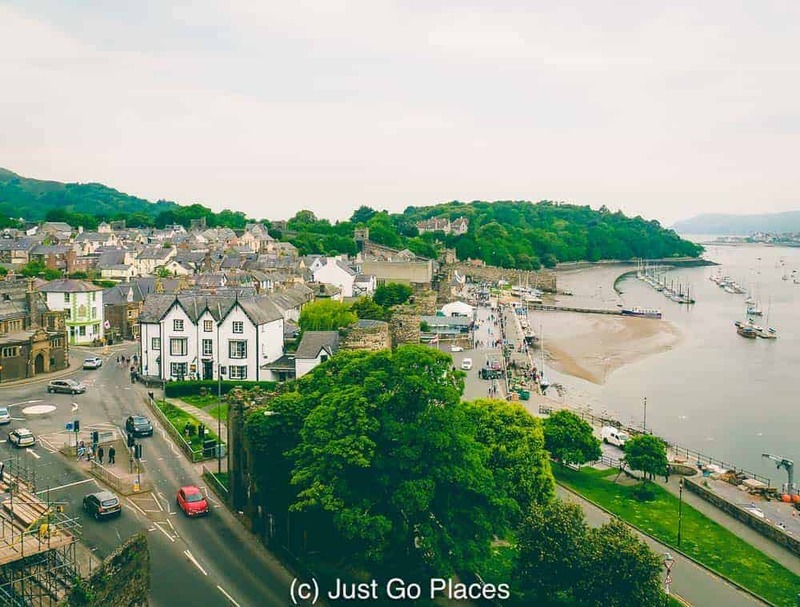 For a little town in Wales visit Conwy and you’ll have a choice of local attractions from the historic, man-made ones to the natural. One of the best things to do in Conwy is to walk around the little town and admire historic architecture. When you visit Conwy, history is all around you. You might as well embrace it! When you visit Conwy the historic part of town is must-see. Before the English, there were the Cistercians who had a monastery in Conwy. Considering they were a religious order who liked to be away from it all, they were probably a bit miffed when Edward I showed up with his troops. Edward I suggested the monks move somewhere more peaceful. They left behind the Abbey church (now the Church of St. Mary) which was used by the English. Conwy was created as an English town. Aberconwy House, on the High Street, is a National Trust property and another thing to do in Conwy. 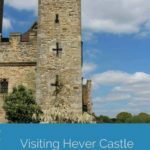 It’s the town’s only surviving medieval merchant house and has some interesting exhibits. Fast forward a couple of hundred years to 1576 and Queen Elizabeth I who decided to move the reconfigure the Dublin to London postal route. Conwy was designated an official postal station. Plas Mawr is an Elizabethan-era Merchant House that you can visit which is also located on the High Street. Honestly, the town of Conwy is THAT small. It was the home of the wealthy Wyn family in the 16th century. Fast forward more to 1800 and after the unification of England and Ireland, London decided they really did need better mail service to Dublin. Unfortunately the River Conwy was known to be dangerous during bad weather. For example, on Christmas Day 1806, the Irish Ferry capsized and killed 13 of the 15 passengers on board. Thomas Telford built the first suspension bridge in 1826. In the 19th century, Conwy thrived as a port town, part of the shipping lanes among Ireland, Scotland, Liverpool and even as far away as the Baltics. Since 1770 there’s been an inn at the site where the Castle Hotel Conwy stands today.. Somewhere in the 19th century, the Harp Inn became the Conwy Castle Hotel. The grander Castle Conwy hotel doubed in size to take over a couple of nearby buildings, including a pub. The Castle Hotel Conwy changed designations from a mere Inn to the slightly grander-sounding hotel. Adding to its glory, the Castle Conwy Hotel also got the distinction of being an official stop on the Royal Mail coach service. Although it looks older, the neo-Jacobean grand facade of the Conway Castle Hotel was created only in the 1890’s. The history of the Castle Hotel Conwy is intertwined with that of the town of Conwy. This hotel in Conwy has hosted Royal visitors and the architects of Conwy’s bridges as well as been the place for major town celebrations. Located in Conwy harbour, the smallest house in Conwy is seriously charming and absolutely tiny. The four of us in our family couldn’t fit in there standing as my son found out when he hit his head on the staircase in the jostle. Smallest House Conwy is in the Guinness Book of World Records as the smallest house in Great Britain. It is only 6 feet wide and just over 10 feet high. And, in that height they managed to get in a sleeping loft! No vaulted ceilings here though. Why would anyone build a house this small? Probably because they didn’t have a choice. The town is wedged in-between the sea and the city walls and space is at a premium. There was actually a fisherman living in the smallest house Conwy until 1900. And he was 6’3” tall! He had a roof over his head, an outhouse in the rear and an easy commute into work. The town authorities decided that the house was uninhabitable in 1900. A local newspaper took up the cause to save it when they undertook a search to see if it was indeed the smallest house in Britain. 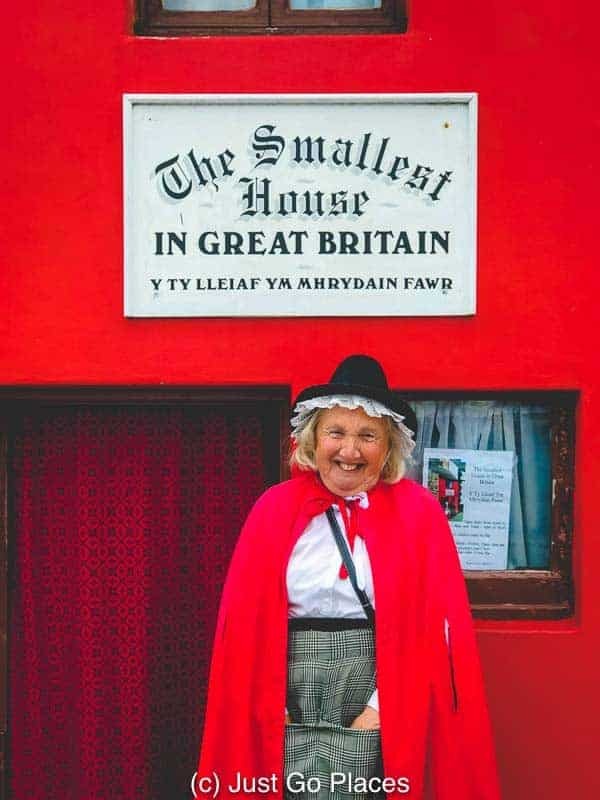 Today smallest house Conwy is one of the biggest Conwy attractions in complete disproportion to its actual size..
One of the quirkier Conwy attractions is the Conwy Mussel Musem. This small museum is also on Conway Quay and free to visit. Conwy has been a site of pearl fishing since the Romans stumbled into Wales. One of the largest pearls found in the area was sent to Charles II’s wife, Catherine of Braganza (she who had the flower beds from Green Park in London removed to stop her husband picking flowers for his mistress). This Conwy pearl is still supposed to be in the Crown Jewels at the Tower of London. Fun Fact! In the 19th century, Conwy would send over 4 kilos of pearls a week to London jewellers. Pearls didn’t start being more freely available until Mikimoto started cultured pearls in 1893. 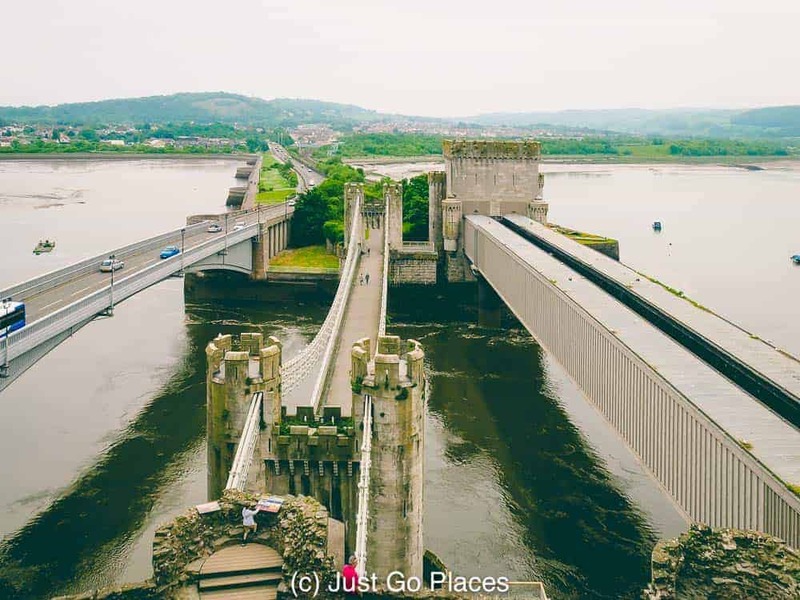 If you are looking for what to do in Conway with your National Trust membership, go check out the Conwy Suspension Bridge and Toll House. It was one of the first suspension bridges built in the world. From Conwy Castle, you can see all 3 bridges that span the River Conwy lined up side by side. Conwy Quay is a great place to just sit and absorb the town life around you. There are great views over the boats and the harbour and plenty of people-watching opportunities, too. The smallest house Conwy and the Mussel Museum are both located on the Quay. 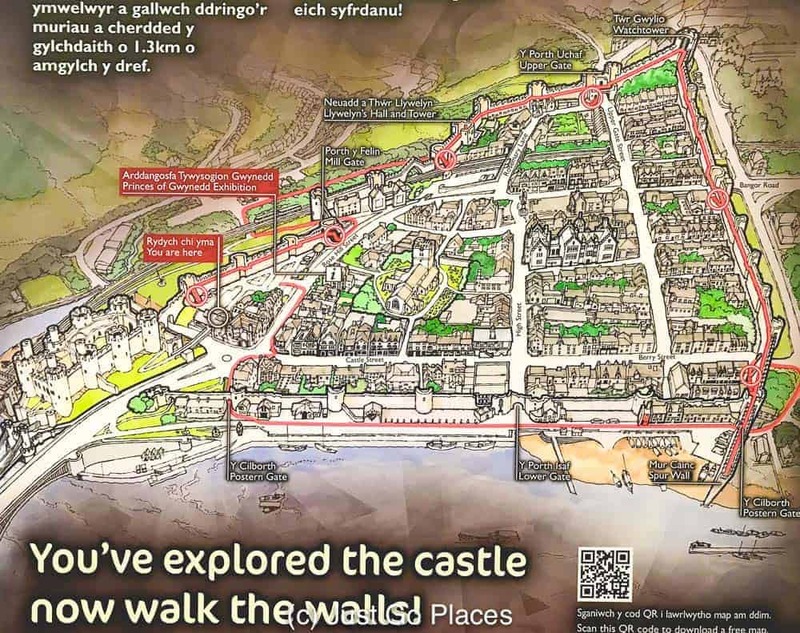 Among the best things to do in Conwy is walk the medieval Conwy town walls which encircle the town. You can even walk most the way. Little houses tucked inside Conwy town walls. King Edward I also had the Conwy town walls built at the time he had his castle built. 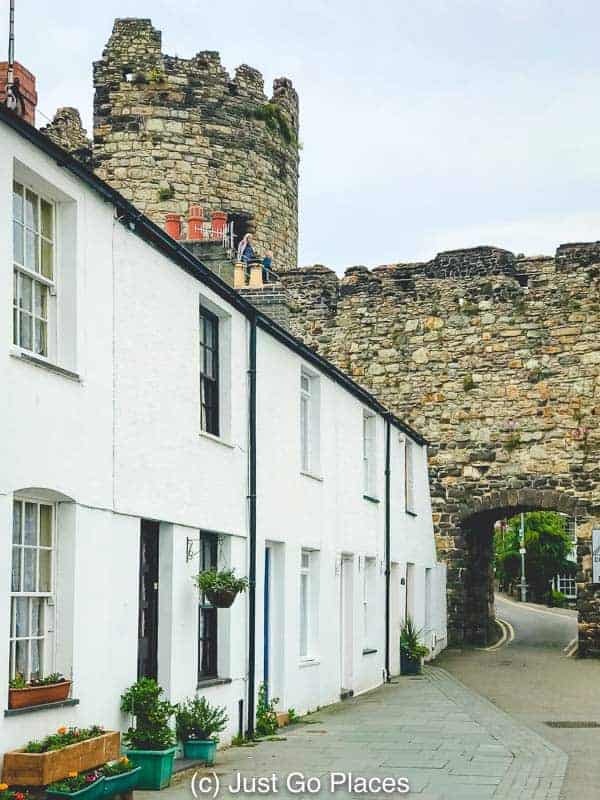 Conwy town walls are some of the best preserved medieval walls in Europe. These walls haven’t had the heavy restoration seen at Carcassone. They are great for kids similar to the city walls in Tossa Del Mar in the Costa Brava Spain. In Edward’s day, the town walls were meant to protect Conwy, an English town. The Welsh were allowed inside the walls once a week to bring their goods to market. Conwy Nature Reserve is a wetland run by the RSPB (Royal Society for the Protection of Birds) Created out of the landfill from a nearby road tunnel, the Conwy Nature Reserve is a great family walk where children can get muddy looking for wildlife, such as birds and frogs. 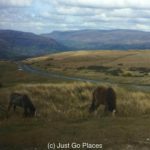 There are three separate trails at the Conwy Nature Reserve you can take (that range from a short 1/3 of a mile t o the longest which is 2 miles long). 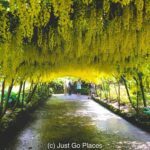 We were lucky enough to visit Bodnant Gardens. 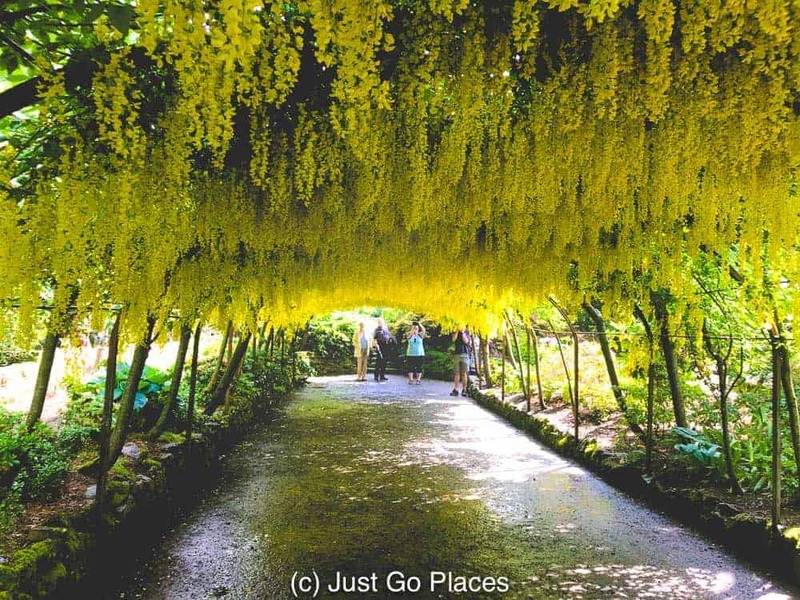 a National Trust Garden when their spectacular Laburnum Arch was in bloom. And, it really was stunning. The Bodnant Gardens National Trust is good for walks on a nice day. Nearby, there is the Bodnant Welsh Food centre has excellent tea rooms and restaurant. It also provides accommodation at the Furnace Farmhouse. Llandudno is the Victorian resort town across the estuary from the town of Conwy. There’s the ruins of Degannwy Castle which was a stronghold of the Welsh princes. Edward II was having none of that and stripped Degannwy to build Conwy Castle. 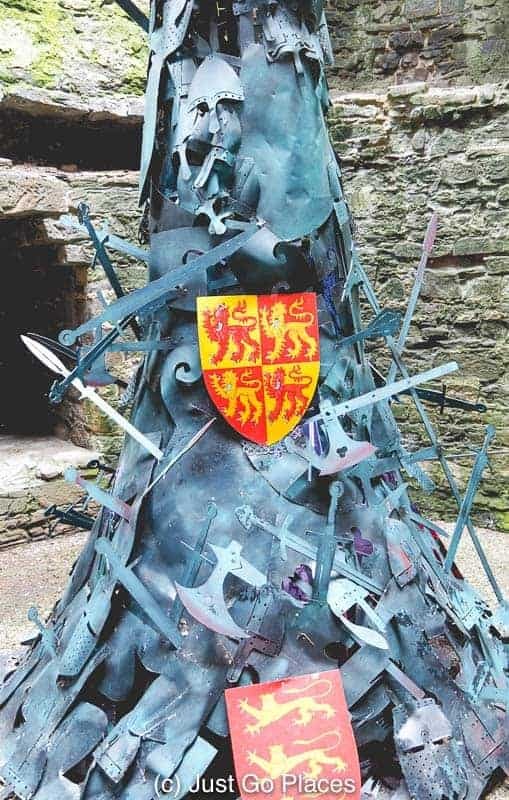 A sculpture; in Conwy Castle pays homage to Lllewylln the Great, one of the hero Princes of Wales. Conwy attractions range from very large to very small! 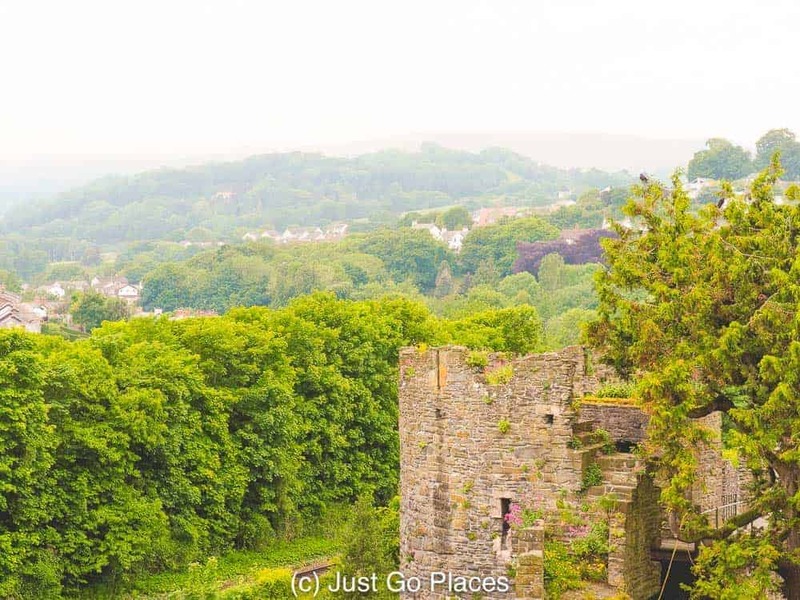 In North Wales, Conwy is definitely a must-visit if only for the Castle Conwy. 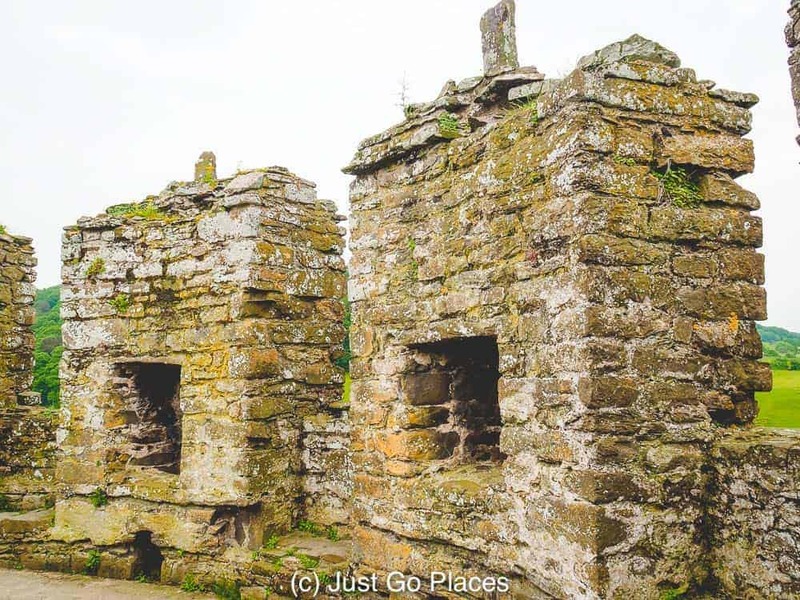 Yet, I feel if you miss out on some of the other things to do in Conwy, such as the smallest house Conwy and the Conwy town walls, you’ will miss out on some cool Conwy attractions. 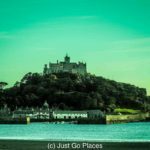 For a longer visit, here are some suggestions for accommodation in Conwy and/or restaurants in Conwy. Check out the TripAdvisor Conwy reviews. Accommodation in Conwy is limited as you can expect from a town this size. There are places to stay in Conwy though that are outside the town walls. In North Wales, Conwy has its historic town wedged between the Castle Conwy and the Conwy estuary. Located where the old Cistercian Abbey used to be, you can’t get a more central location to stay in Conwy than the Castle Hotel Conwy. This four star hotel in Conwy has both single and double rooms and a whole lot of history. Check out the TripAdvisor reviews for Castle Hotel Conwy. 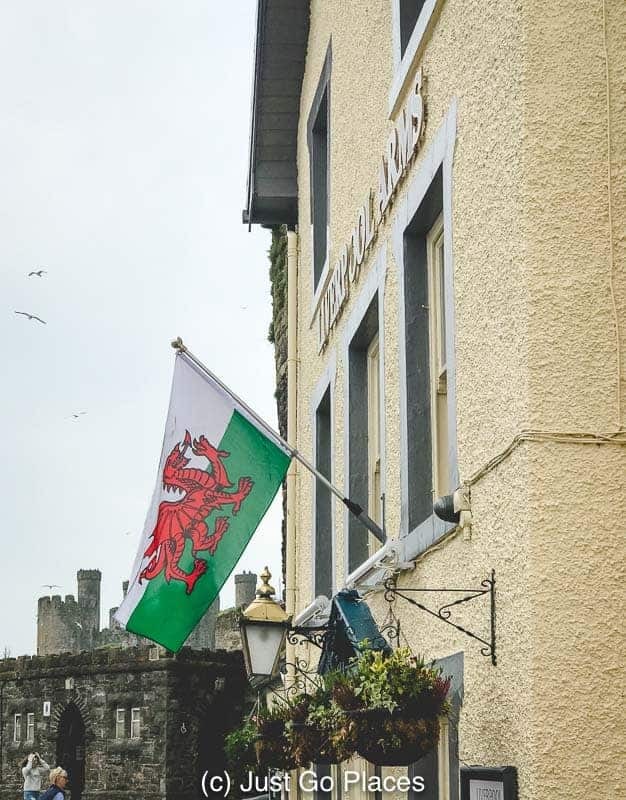 Located outside the Conwy town walls, The Groes Inn has been around since the 15th century. This historic coaching inn is the oldest licensed pub in Wales. The hotel is dog-friendly. Check out the TripAdvisor reviews for The Groes Inn. The Furnace Farmhouse is a four-star foodie’s delight. The accommodation is part of the Bodnant Welsh Food Centre. 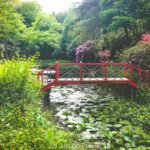 It’s located past Bodnant Gardens and so further from historic Conwy. It’s an 18th century farmhouse with 5 bedrooms. Wake up at the Furnace Farmhouse to a breakfast served from the Bodnant Welsh Food Centre. which is seriously good. Check out the TripAdvisor reviews for the Furnace Farmhouse. Check out the TripAdvisor reviews for Glan Heulog Bed and Breakfast. 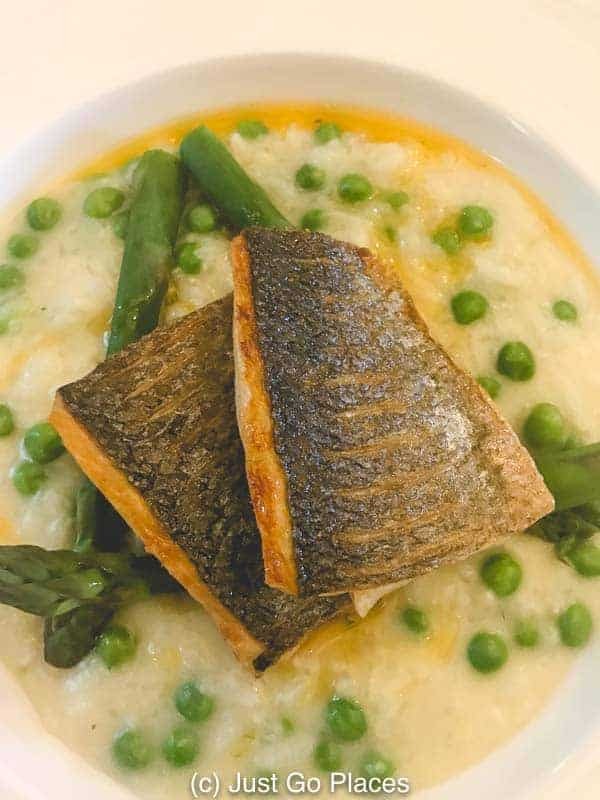 Here are some great places to eat in Conwy. The pubs are dog-friendly and kid-friendly so that’s good for a sit-down when you need a break. The Bondnant Welsh Food Centre has both tea rooms as well as the Hayloft Restaurant and Bar. The Furnace Tea Rooms are set in the old stables and overlook Conwy estuary. It’s open for tea, snacks and light lunches. 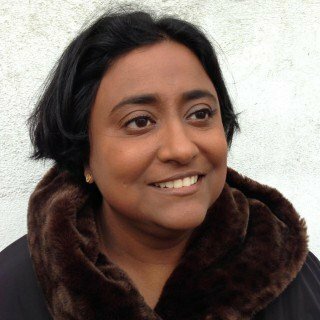 There’s a cookery school with both day and residential courses similar to River Cottage in England. Hayloft Restaurant is the fine-dining gourmet restaurant. The Castle Hotel Conwy restaurant also serves local Welsh food. You can also have afternoon tea at this hotel in Conwy. Fun Fact! The Conwy Castle Hotel restaurant served lunch to a young teenage Princess Victoria in 1832 during a visit to North Wales. The Liverpool Arms is located on Conwy Quay. It’s got great views over the estuary and gets crowded thanks to that feature. The Albion Ale House is a 1920’s pub that serves local beer. It serves no food (just nibbles). Why is on this list? It’s won a bunch of awards for being the best pub in North Wales. And, it’s now really rare to find a pub that just serves beer. You can find the Albion Ale House on Uppergate Street inside the walled town of Conwy. 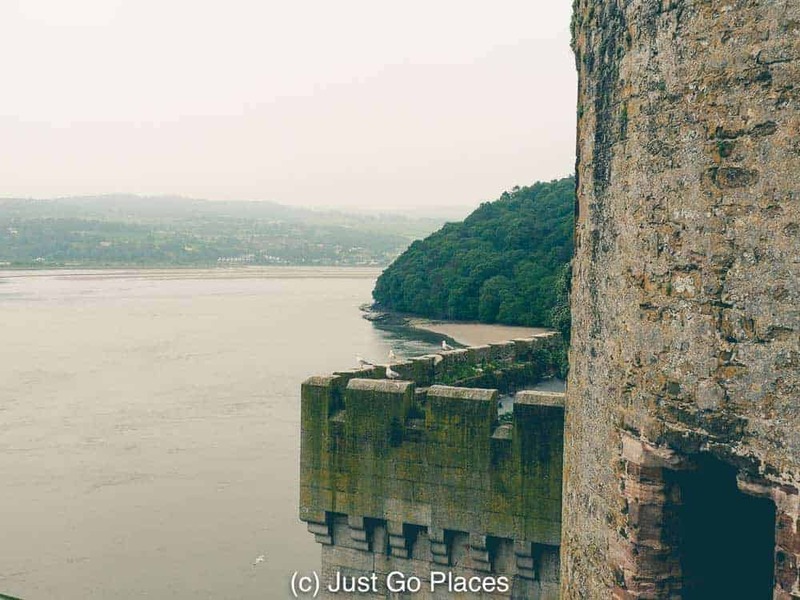 The must-do Conwy Wales attractions are the medieval Conwy Castle, a UNESCO World Heritage Site, and the Conwy Town Walls, but that’s not all. You’ll also find the smallest house in Britain and a lovely town all around.